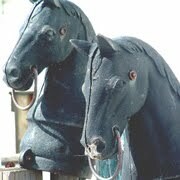 As they become available, we may offer horses for full lease. 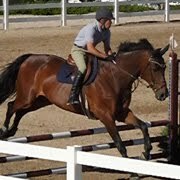 The horses available for lease are exceptional quality. They are all privately owned and experienced A-Circuit show horses. Rates and fees vary depending on the horse. Generally, to lease a horse, the rider must assume all or half the board, horse-usage fee, associated expenses for horse maintenance (i.e. shoes, veterinarian services), and participate in a training program. Our lease programs require a student or potential leasee to join our lesson program. 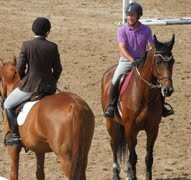 It gives the rider and trainers an opportunity to understand the goals and skills level for the best horse and rider combination. You may contact Laura Baker at 303.475.7517 or email aurorastables@earthlink.net for more information.